Uh-oh! Wiz Khalifa has found himself in serious trouble with the law after skipping out on his scheduled court date in El Paso, Texas, on Wednesday. The rapper was meant to attend his hearing for a misdemeanor charge of possession of marijuana yesterday, but because he failed to show up, things have just become a whole lot worse for him. When Judge Ricardo Herrera learned that neither Wiz — whose real name is Cameron Thomaz — nor his lawyer had arrived for the hearing, he issued an arrest warrant, TMZ reports. The charge against Wiz stems from his arrest back in May at the El Paso International Airport after the Neon Desert Music Festival, when police found a container with less than 0.5 grams of marijuana in his backpack, MTV reports. However, if the “Work Hard, Play Hard” hit maker does find himself behind bars again, we can look forward to seeing many more jail-cell selfies, like the one he took in May that went viral after he sent it out to his Twitter followers and triggered an investigation into jailhouse security. So what was the rapper doing instead of attending his court hearing? He was in New York appearing on The Tonight Show Starring Jimmy Fallon. 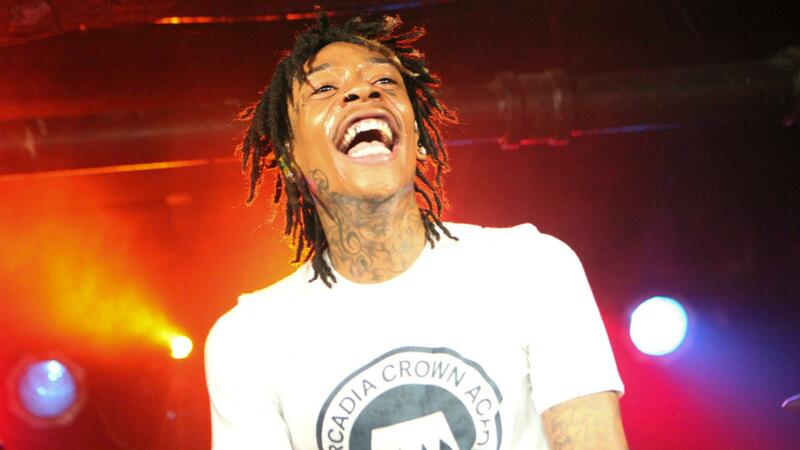 Guess Wiz must think pretty highly of the comedian and television host. But Wiz also made some time for social media, when he took to Instagram to post a picture of his beautiful wife Amber Rose — in her underwear. Despite Wiz’s laid-back attitude when it comes to the law, the star’s armor may start to crack if he finds himself locked up for a lengthy period of time. The events continue to unfold.